I have a sweet tooth even bigger than Ron Jeremy’s, um… IMDB credits… right. But I also have a passion for healthful, flavorful eating. More often than not, the sweet treats win out, but I try to be innovative with ways to kick the yearnings, and I also like to be resourceful (see, for example, meal planning spread sheet). I’ve been making jam like an entire Southern Baptist women’s Bible study group combined. Strawberry Basil Balsamic Black Pepper, Raspberry Cilantro, Blackberry Fig, Mango Raspberry Poblano, Peach Lemongrass. I can only eat so many whole wheat naan slices with peanut butter and fancy jam a week. So I started topping my fruit and yogurt with a generous sprinkling. Very generous. Ron Jeremy-style. Again. His personality. But. That wasn’t enough. I needed a brand new, more dessert-like jam fusion. And so I did. I bought some popsicle molds at Target and created these. You should too. The hardest part is waiting for them to freeze. And if you don’t I’ll send you pictures of Ron Jeremy. I just will. Combine spoonfuls of jam and Greek yogurt in a bowl. Continue adjusting amounts until the flavors match your preference. Equal parts is recommended. Stir in coconut flakes. 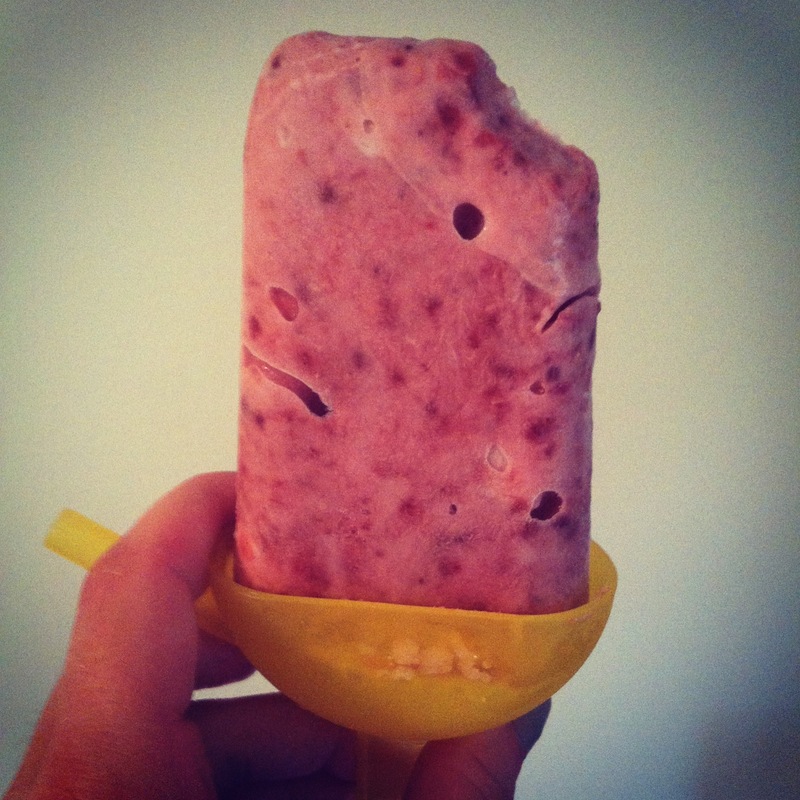 Place into popsicle molds. Freeze at least 2 hours.